As part of accepting the award I have been asked a few questions from Kristin to answer here for you. I think I've always enjoyed writing for as long as I can remember, it satisfies something deep inside my heart. 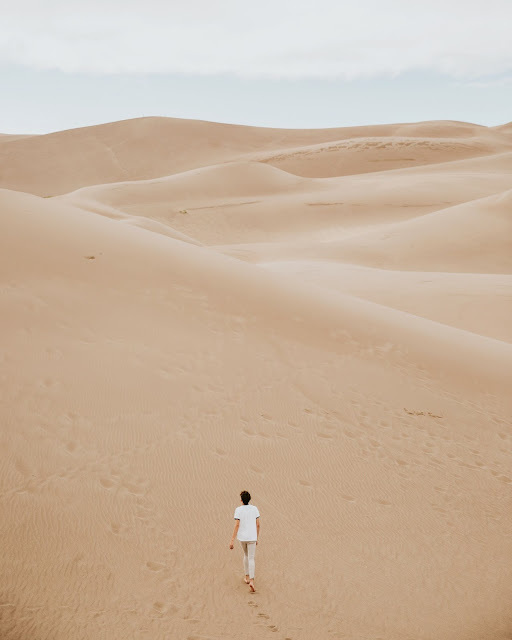 This blog was started after writing with a friend on a separate blog for a few years. The call on both of our lives became clearer and for me that meant the call to write grew louder. I always pray that my writing challenges or changes just one person to grow deeper in their walk with the Lord. 2. What is your favourite holiday? Thanksgiving!! I love food and the relaxed atmosphere of Thanksgiving. It's all the best parts of Christmas minus the stress. And before you frown about the whole Jesus birthday part- I would just like to say, I am thankful everyday that he was born:) Aren't you? 3. What biblical or historical figure would you most like to meet besides the Lord? I would love to meet Peter, I think he's extremely relatable. He wanted so much to honour God and often did, but his flaws were apparent and I love that they were included in Scripture for us to read. 4. Where is my favourite vacation destination? Why? Banff, Alberta!! (but only in off season). I love the charm of the town, the beauty of the mountains, the wildlife, the lakes, the hikes, the views, the smell...mmmm...sorry...where were we?! As long as it has chocolate in it it's my favourite. 6. Which social media platform do you prefer for blog promotion and networking? Why? 7. Share a treasured Scripture or quote. Why is this particular Scripture/ quote so meaningful to you? I am a worrier. For those of you who know Sesame Street, when I was growing up, my mom used to call me Telly (for those of you who don't know Sesame Street, Telly was the character who would worry about EVERYTHING!). If you could listen in on my thoughts, this is a scripture you would hear on repeat in my head almost daily. It has brought me peace and the ability to move forward without fear in many circumstances. Good question! I think I've been reading so many textbooks lately that I can't remember the last time I read a book from a memorable author for pure entertainment. Hmm...I do read a lot of kids books to my son, does that count? I'll go with Sandra Boynton if I can answer that way. I love the rhythm she creates in her stories. 9. What is your favourite place to be on a Friday night? At home in my jammies with my family (preferably watching a movie in bed with everyone). 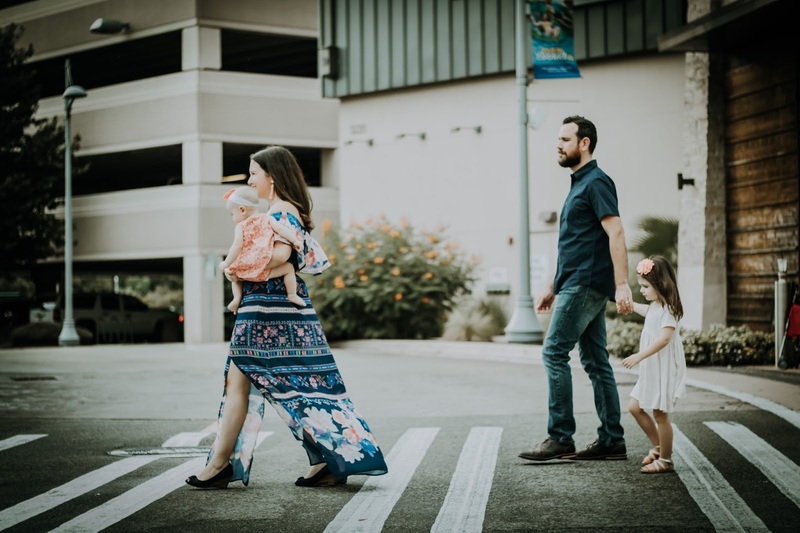 We are a homeschool family, so we can go out whatever night we please. We try to stay home on Fridays when the crowds go out. 10. What is your go-to meal when you're short on time and money? Spaghetti! It's fast to make, reasonably cheap, but also everyone will eat it with no complaints from little (or big) people. 11. Where will you be in ten years and what will you be doing? There's the million dollar question right now!! I am currently enrolled in college working towards a degree in either biblical studies or theology. I would hope that I would be teaching biblical theology to woman in ten years, but at the pace I'm going I will just be graduating. I'm ok with that too as life with three littles in the house takes first priority. I can at least say that in ten years from now I will still be doing "mom" things. There you have it! Now you know a little more about me. ~Thank the person who nominated you for the Sunshine Award and link back to their blog. ~Nominate other blogs and give them questions to answer. ~Notify your nominees through social media or commenting on their blog. 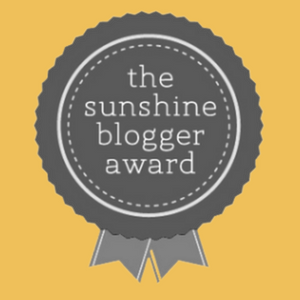 ~List the “rules” and display a Sunshine Award logo in your post. 2. What social media platform do you prefer to use? Why? 3. What song can you play on repeat and never get bored of? 4. What is one thing about yourself that you love? 5. What do you do or where do you go when you need to unwind? 6. If you could shout one message from a rooftop for the world to hear what would it be? 7. What is one Scripture that you hold extra close to your heart? Why? 8. If you had to eat one meal for the rest of your life what would it be? 9. If you could travel anywhere in the world where would it be and why? 10. How do you spend the first hour of every day? 11. What advice would give to younger you? 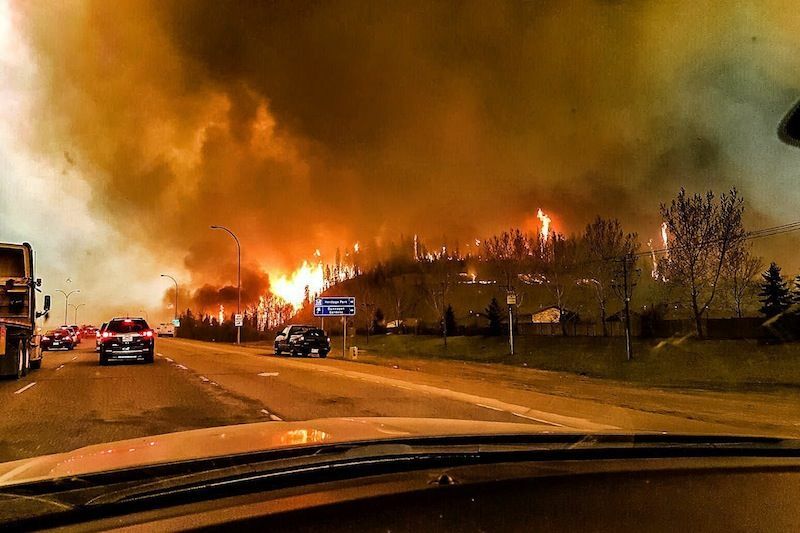 On May 1, 2016 a fire of epic proportion spread like crazy through the city of Fort McMurray, Alberta, Canada. People were given minutes to evacuate leaving behind valuables, pets, and vehicles. Images of the apocalyptic-like fire begin to spread across the Internet, videos uploaded from people who watched their homes burn from their baby cams they had connected to their phones. Our province of Alberta held its breath while we watched and waited for them to arrive. Then the chaos hit. The people we had witnessed fleeing for their lives started to trickle into our cities and towns in southern Alberta and into facilities across the province that turned into make-shift hostels. A hotel in the city where I live set up a donation centre where people could come get diapers, shampoo, dog food, and other toiletries. I prayed and asked God where He wanted me in all this. I wanted with all my heart to help, but where was God? Where did HE need help? I felt him stirring my heart to pray for just one. He did not need me to help the masses, or serve tirelessly day and night. He need me for just one person. So I prayed for one. "God, bring to me just one person you are chasing after. Give me just one person and take over my mouth and hands to serve how YOU need them served." In the late afternoon, my husband went to leave the house and I noticed him talking to someone. I came to the door to look..
One single lady (let's call her Jane), sitting under the shade of our trees on our front lawn. Her eyes were wide. Her breathing laboured. She had just been flown in, and our neighbour had offered a room to whomever needed it. She was the recipient of our neighbours generosity and found her way to our shady grassy patch to catch her breath (something she couldn't quite do yet). 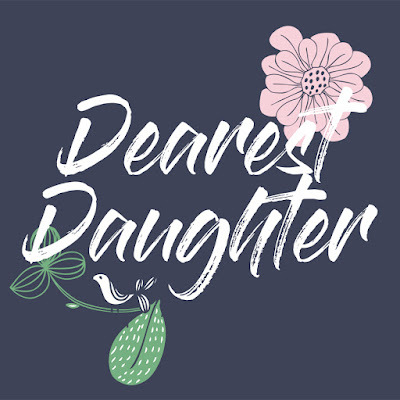 Thank you Lord, I see your daughter in need. Not wanting to step on the toes of our already generous neighbour, I made mention to them both that we needed to run a few errands and I asked if it would it be convenient for us to take Jane up to the donation centre to grab what she needed. They all agreed this was a wonderful idea. Jane stepped to our car, eyes still wide, adrenaline still coursing through her veins. We got to the donation centre and my husband offered to run errands with the kids while I helped our evacuee navigate under stress. The hotel with the donation centre generously had supper out for evacuees to eat when they came through. I sat with Jane and listened. She could barely eat with her nerves being what they were. She spoke quickly of the events of the day as she processed what had happened. When she made it through the events of that one day she started moving backwards in thought, recounting many stressful events in her life. I sat and listened, she spoke. Her breathing became quicker between inhales and exhales. She pushed her food away. "I can't eat," she said quietly to herself. We sat together silently. Saying nothing. I wanted to say so much, and yet nothing seemed right. We found her some running shoes. She stretched out her toes for the first time from her cramped boots. About that time my husband showed up to take us "home". As we drove back my heart was leaping for a chance to pray with her. I had sat quietly for an hour and a half listening and trying not to barf some form of Jesus on her from excitement over what God had done. As we pulled up in front of our house my mouth started speaking before I had time to think. "Can I pray for you?" She stopped. I held my breath. I must have sounded stupid. "Yes", she replied. A smile began to spread across her face. I prayed right there in the driveway. I won't share what I prayed, but we prayed. Together. When we finished she grabbed me for a hug, and for the first time I felt her take a long slow inhale and a long slow exhale. She backed up. "I knew I was suppose to meet you," she told me. "There was something about all this that was just supposed to be." She had been struggling with faith and wondering where God was. He showed up by the working through all those events to make Himself known to her. We said goodbye and that was the last time I saw Jane. She left the next day to stay with family in a different city. I walked into my home grinning from ear to ear over all that God had done that day. It changed me. I don't need to change the world. I don't need to travel overseas and visit third-world countries. I don't need to build organizations and not-for-profits. All I need to do is pray the simple prayer of "Lord, send me just one," and then be ready for Him to interrupt my day. I now pray this prayer every morning. It changes the way I see the world, and I can't tell you how many times He's interrupted my day with someone who needs to hear from him. I have come to expect that He will send me just one every time I ask. Sometimes it's a stranger, or a friend, or sometimes my own kids or husband. It's given me the mindset of a missionary, and changed how I choose to insert my life into my community. 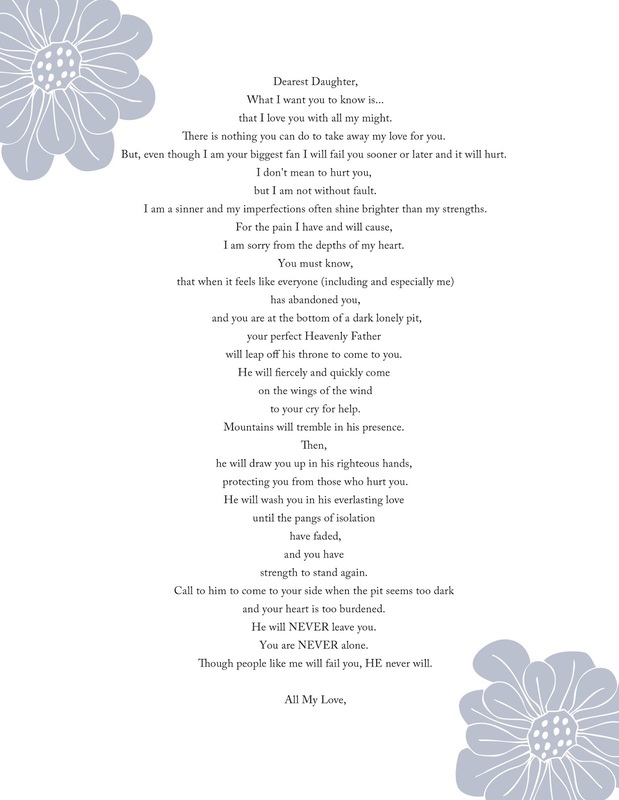 Here's the beauty of this prayer. You can pray it too! You can be a missionary in your own back yard. It's about intentionality and allowing God to interrupt. It forces you to re-evaluate your daily purpose. We are not here to stand by idly. We are here to be the hands, feet, and mouth for Jesus. We are here to complete the work He began on earth.